AndroidThings is primarily focused on reducing the development and deployment time when it comes to IoT. Android being the most popular Mobile Operating System thus far has now made its way into the IoT arena with AndroidThings IoT Platform. 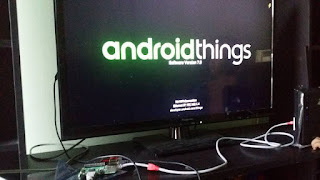 The purpose of this article is to try out the AndroidThings platform and evaluate its Developer friendliness. And you can follow the Hardware Device's instruction on how to flash the System Image into the Hardware Device. I used a Raspberry Pi 3 so I followed the Instruction available for that. If you were an Android Developer already just like me, you probably have Development Environment setup already and you can skip this step. If not you can Download Android Studio from https://developer.android.com/studio/index.html and install it. Make sure to download the package with Android SDK if you are not comfortable with configuring PATH manually. This is the third step as it enables to connect to your device over Wifi for Easy Deployment and Debugging of Apps. I followed this https://developer.android.com/things/hardware/raspberrypi.html as I used a Raspberry Pi 3 but you can follow the correct link based on your Hardware listed here https://developer.android.com/things/preview/index.html. This will connect the your development machine and Hardware device. Now it is just like developing any Android App. You can just use the Android Studio IDE to create apps and run it just like you run an app in an Android Mobile Phone. 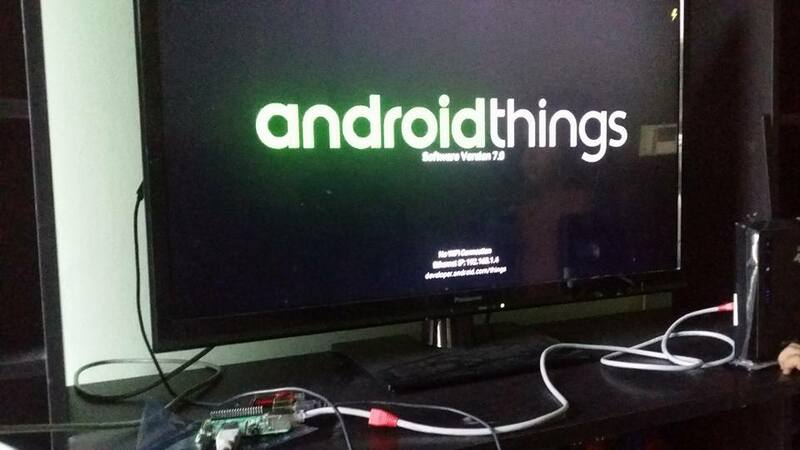 Google AndroidThings IoT Platform is definitely a step in the right direction. There are so many Hardware Devices and Operating Systems for IoT it is almost too easy to get lost. With this Platform Google has tried to bring in the "Write Once, Run on Any Hardware" concept to IoT arena which must be commendable. But as far as I think it is still a work in progress and I am pretty sure with the resources Google has within couple years time this platform has the potential to become a Game changer and backbone of IoT.